Indonesian media has a big role in branding a lot of games. Hence, with so many games media out there we classify them into top 15. These are the top 15 Indonesian game websites as per January 2018. As a game marketer, you know that media has a big role in determining your game’s success. 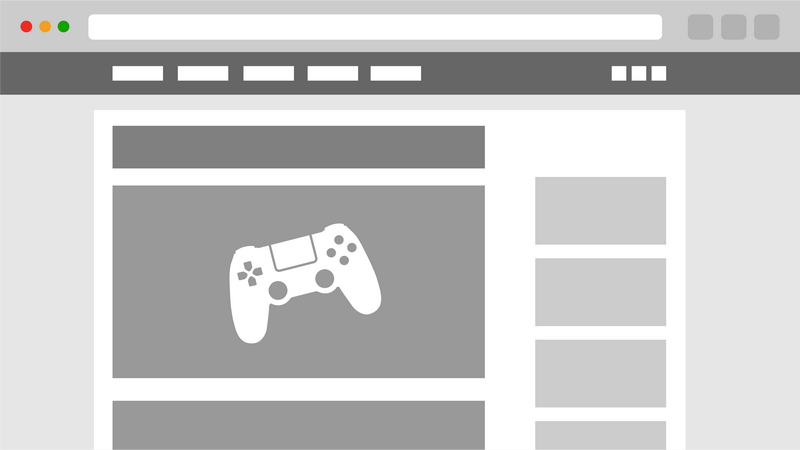 If you are starting to market your game in Indonesia or need to know the top Indonesian game websites, we got your back. Thanks to this list you can plan your media-oriented campaign more efficiently. Knowing which and where to shoot your effort for this specific market. However, before we begin, we have some definitions to discuss first. First of all, defining game websites is not that simple. Every website has its own uniqueness and composition on its site. There are websites that have wide-range of topics and covers topics outside gaming (like Duniaku.net, jurnalotaku.com, etc). On the other hand, there are ones that only focused on one game or one specific genre (like revivaltv.id and hasagi.gg). 3. and a site that was established in Indonesia and has nation-wide coverage. This list is also limited only to games media that has been tracked by Alexa site evaluators. Furthermore, sites that are included in this list have to be active. This means they must at least have published one article in the past week before the data compiled. First of all, because it is based on prediction the shown data is not 100% accurate. This data is taken from Alexa.com, based on their proprietary tools. Although it is not 100% accurate, Alexa’s data is one of the most used data in industry benchmarking. Therefore, it has strong authority to quantify traffic from a site. Alexa.com’s data is updated every day. The movement of the data can also be significant each day. Because of that, data that is shown here is more of a snapshot of Alexa rank in a day, 7 November 2017 to be precise. No. Alexa only provides the list of top 500 sites from Indonesia. Other than that, it is based on personal research. Consequently, maybe there are some big media games that are not included in this list. As a result, based on the definition above, these are top 15 game websites in Indonesia according to Alexa ranking. Duniaku.net covers mainly three things: games, geek cultures, and gadgets. It focuses on popular topics. The writers usually write about animanga, Dota 2, popular games, local pop culture issues, Android gadgets, and many more. In addition, Duniaku.net targets young reader and has a goal to encourage creative industry fans intro actors. received funding from Discovery Nusantara Capital (DNC) and announced the launching of other sites like GGWP.id, Teknosaurus.com, and GamePrime.org. JalanTikus.com is a technology, gadget and mobile games portal, and one of the oldest online media to cover those topics. Moreover, they cover a bit of funny and random things from the internet. Additionally, they have an app store where you can download various apps and games. GGWP.id is a site dedicated to esports and its local scene. The contributors mainly write about popular esports in Indonesia, such as mobile MOBAs, Dota 2, Overwatch, and others. In short, GGWP.id is a member of IDEA Network group. Teknosaurus.com covers all about gadgets, tech, and mobile games. The writers usually write about trivia, tips and tricks, game guide, top lists, and many more. Teknosaurus.com is a member of IDEA Network group, same as GGWP.id, Duniaku.net,and GamePrime.org. Duniagames.co.id belongs to the biggest telecommunication company in Indonesia, Telkomsel. This site focuses on games, especially esports and mobile. Aside from news, this site also provides a place to download apps and games using Telkomsel billing. In addition, this media holds many events like games competitions and community events. Jurnalotaku.com covers news and culture related to Japan, including games. In the game topic, the writers also write about non-Japan games, including Indonesian games. Hasagi.gg is also a niche site that only covers League of Legends. In addition, League of Legends itself is the most popular MOBA (multiplayer online battle arena) game in the world (although not in Indonesia). Indogamers.com is renowned for its strong and loyal community. Moreover, on mid-2000’s, Indogamers.com had its own server for several popular games, including Dota Allstar and World of Warcraft. Playtoko.com covers all of the mobile games. Furthermore, it has its own app store called AppToko, where you can download various kinds of games that are available on the market. The writers are not posting regularly on a daily basis, but they still tick the box for being updated in the past week. Klikgame.com is a portal for games from all platforms, like PC, consoles, and mobile. They also cover a bit of pop culture. Many movie reviews and popular things are related to pop culture.